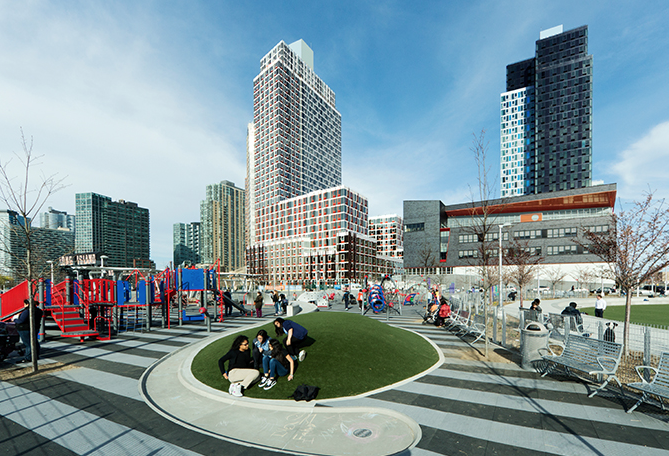 While everyone was distracted by Monday’s BIG news on the High Line, SHoP unveiled a three-tower complex on the waterfront in Long Island City, Queens. The tallest tower, at 45-40 Vernon Boulevard, will be 28 stories, with 296 residential units. The three towers will ring the Anable Basin, a human-made inlet off of the East river. The towers will sit ten blocks northeast of SHoP’s Hunters Point South, a two-building, 900-unit development with 20,000 square feet of retail, where tenants love Airbnb-ing their taxpayer-subsidized pads. The development is part of a master plan to revive the Anable Basin (also known at the Eleventh Street Basin), site of the former Pepsi-Cola bottling plant, with public waterfront access and a refurbished pier. The towers, real estate blog 6sqft reports, will mostly replace the current building on site, 69,550 square foot Paragon Paint Factory, now defunct. The site, currently zoned for manufacturing, will require a zoning variance to build residential. There will also need to be environmental remediation performed on the land. The tallest, central tower partially cannibalizes the rear of the factory, rising into a decidedly non-industrial 300-foot-tall glass wall. 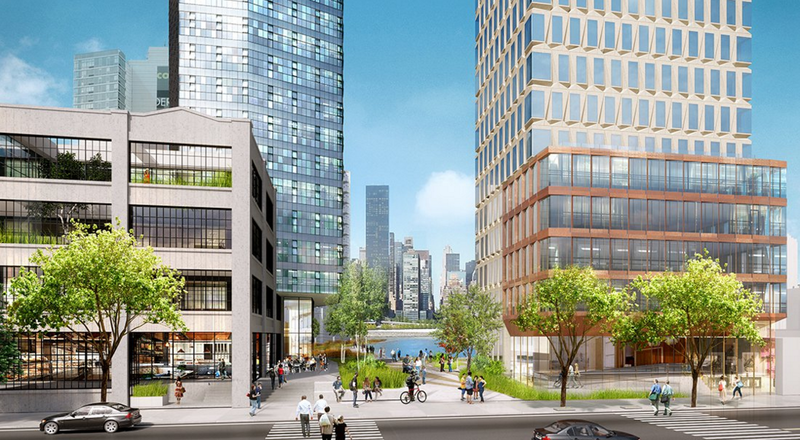 Future residents will have expansive views of Manhattan and the East River. 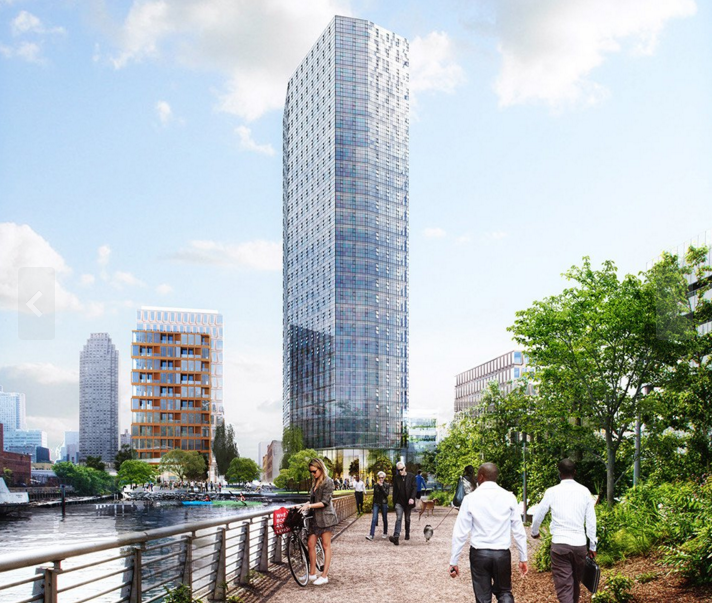 The two smaller towers, at 45-24 Vernon Boulevard and along 45th Road, will be copper clad at the base with angled windows on the upper stories to maximize views of the cityscape. The towers will rise 14 stories and eight stories, respectively. No word yet on the project’s groundbreaking or expected completion date.